Anne Oliver, vice president of Coldwell Banker Pacific Properties, says she makes no apologies for putting her real estate business atop her list of priorities. 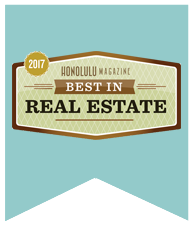 In the midst of Hawaii’s red-hot residential real estate market, Anne Oliver is among the leaders of the pack. So far this year, she has closed three sales of $12 million, $10 million and $8 million, respectively, and is among the top five in total sales on Oahu. The recent success is not unusual for Oliver, a Realtor and vice president at Coldwell Banker Pacific Properties, who works out of the Kahala office. Since joining the agency more than a decade ago, she has consistently ranked in the top 2 percent of its agents. Her colleagues say the key to her success is her commitment to her clients, many of whom are buying and selling luxury real estate. James said Oliver has energy and drive that her clients appreciate. James said, for example, that Oliver, who is part of Coldwell Banker’s “Previews International” luxury division, would pull out of a deal if it wasn’t right for her clients. “She will certainly give them the advice that they need to hear,” he said. Oliver, a Boston University graduate, believes that the key to her success is creating a system that enables her to maintain focus on her clients and being available to respond to their needs. “My secret weapon is my assistant, Lindsey [Fujimoto], who facilitates all elements of my business behind the scenes, allowing me to focus on my clients, my listings and the constant changes in the marketplace,” Oliver said. Consistency, she says, is the most important trait for a successful real estate broker. 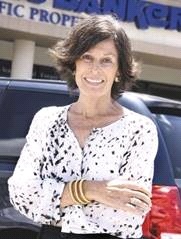 At the same time, she hopes to change people’s perceptions of her as a specialist only in the high-end real estate market. Like many others in the real estate business, Oliver says she struggles with the challenge of balancing work and lifestyle. Oliver also considers securing new listings as a challenge not only for her, but for the entire brokerage community, mainly because inventory levels are so dismal.